Chic glamour from American fashion label Michael Kors. An elegant mother of pearl dial beautifully complements its sparkling stone set bezel. 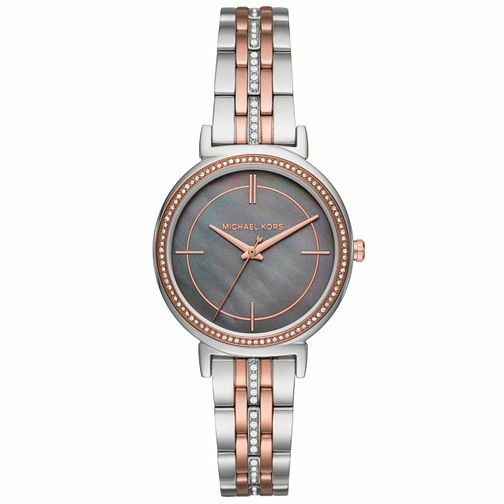 A stylish stone set rose gold tone and stainless steel bracelet offers a contemporary edge. Michael Kors Ladies' Two Colour Bracelet Watch is rated 5.0 out of 5 by 3. Rated 5 out of 5 by Anonymous from lovely well received great watch beautiful to look out!! !